A HIPAA texting solution is the ideal mechanism with which to tackle the issue of complying with the administrative, physical and technical requirements of the HIPAA Security Rule. Selecting the most appropriate solution for text messaging in compliance with HIPAA should not be done without a full evaluation of the many mechanisms that are currently being marketed. Of equal importance is the choice of a texting solution vendor, and organizations should look deeply into a vendor’s operations to ensure they dedicate sufficient research and development resources into their product in order to prevent it from becoming stagnant and failing to cope with future legislation, changing work practices and technological advances. A HIPAA texting solution complies with the legislation for the security of electronic protected health information (ePHI) by allowing authorized users access to encrypted data via a secure messaging platform. The texting solution is HIPAA compliant due to administrative controls which exist on the secure platform to retract or delete communications that may be in breach of HIPAA regulations, remotely wipe sensitive content from a mobile or desktop device, and remove a user from the network if – for example – their mobile device is lost or stolen. Furthermore, the platform on the HIPAA texting solution is configured so that messages containing ePHI cannot be copied, pasted or forwarded beyond the communication network – and, when the solution for text messaging in compliance with HIPAA is integrated into a corporate directory, administrators can easily manage authorized users within groups or departments. The platform also enables administrators to monitor compliant usage of the HIPAA texting solution, as each authorized user has to authenticate their identity with a unique username and password before being able to access ePHI or any communication containing ePHI. The user´s activity on the platform is recorded in access logs, which administrators can then review to ensure the solution for text messaging is HIPAA compliant. Authorized users access and communicate ePHI once they download the HIPAA texting application onto their mobile devices or desktop computers. The familiar operation of the application avoids a scenario in which authorized users find the HIPAA texting solution too complicated to use and revert to unsecure channels of communication to transmit ePHI. The solution for text messaging in compliance with HIPAA works in any location where a 3G or Wi-Fi service exists; enabling healthcare professionals to receive ePHI “on the go”, access patient data such as the results of lab tests and x-rays, collaborate on a patient´s healthcare, and arrange for appropriate treatment to be administered. The delivery notifications and read receipts that are automatically generated by the platform help to reduce the amount of time that is wasted by healthcare professionals playing phone tag, and eliminates the need for follow-up telephone calls and emails to see if a message has been received – allowing healthcare professionals to use their time more efficiently to care for patients. 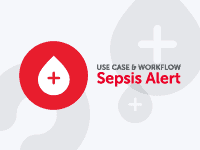 Within practically all medical facilities there will be scenarios in which workflows can be streamlined with secure text messaging, productivity can be increased with secure texting and the standard of patient healthcare can be enhanced with secure messaging – while all the time maintaining the security of ePHI. In addition to choosing a HIPAA texting solution, which fulfils the administrative, technical and physical requirements of the HIPAA Security Rule in your specific circumstances, it is also essential that the organization considers implementation, support and training, and other resources required from the texting solution. As the secure texting market has expanded, many vendors of texting solutions have repurposed existing platforms and applications as a texting solution, which is HIPAA compliant. 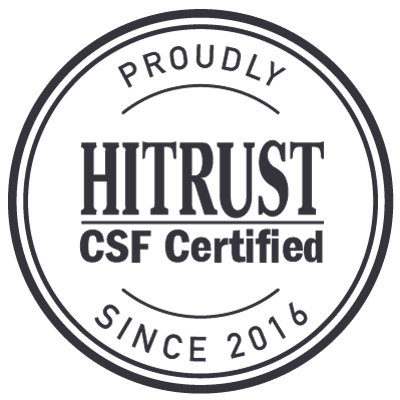 With future OCR audits likely to result in new guidelines for text messaging in compliance with HIPAA, it is essential that organizations choose a texting solution vendor that is primarily focused on secure texting and who allocates sufficient resources for future research and development. Furthermore, the technology of texting solutions is continually evolving, and a HIPAA compliant texting solution vendor must have a flexible and forward-thinking approach to avoid their HIPAA texting solution becoming stagnant as work practices change or when new legislation is enacted. This can often be established by the frequency of the vendor´s software release cycles. Our white paper – “The Top Ten Considerations when Selecting a Secure Text Messaging Solution” -includes a comprehensive selection of essential considerations that will help organizations cut through the sales pitches and marketing noise to help them find the most appropriate solution for text messaging in compliance with HIPAA and the most reliable texting solution vendor. 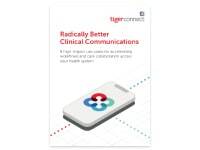 When TigerConnect’s HIPAA texting solution was implemented at Optimal Health Services in California, productivity was significantly enhanced as home healthcare professionals no longer had to return to the office to escalate patient concerns. Medical staff at the Salt Lake County Adult Detention Center cumulatively saved 8-12 hours each day, allowing them to see 15 more patients per shift, when TigerConnect’s solution for text messaging in compliance with HIPAA reduced the time nurses spent playing phone tag. The Carvajal Pharmacy in San Antonio Texas achieved 50% time savings on filling prescription orders following the implementation of TigerConnect’s HIPAA texting solution – mostly due to receiving physician requests by secure text messaging. 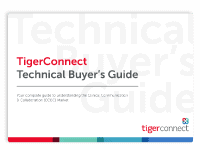 TigerConnect is the market-leading provider of texting solutions that are HIPAA compliant for healthcare organizations. To date more than 5,000 facilities have implemented our HIPAA texting solution, and over 150 million secure text messages are processed by our servers each month. To learn more about HIPAA compliant text messaging, please do not hesitate to download our free white paper – “The Top Ten Considerations when Selecting a Secure Text Messaging Solution” – and, should you have any questions about selecting a texting solution vendor, you are welcome to contact us to arrange a free demonstration of TigerConnect in action.